Sometimes we toss comments, more than discussing, about leaving Earth for another planet. Well – That would be a kind of a journey. Freja, a space engineer student at Luleå tekniska universitet, wrote an essay that might give you some perspective on a journey to a planet, orbiting another star. Tom looked in the mirror. He wasn’t quite sure if he should be excited or nervous about today. It was his inauguration day and the elder kids had told him all sorts of stories about what would happen, all of them contradicting each other. The little he did know about his inauguration was that he would spend all day preparing and at midnight officially enter his new life, whatever that might be. He had turned 15 this year, and as the tradition was, 15 is the age where you start your life as an adult. He had been waiting with the rest of the 15-year-olds for quite a while, getting more and more nervous, and was relieved when the elders finally entered the room. They were told to sit down and make themselves comfortable, as they would probably be there for a while, but as Tom looked around he could see that most of the kids looked too nervous to be anywhere near comfortable. The realisation that he wasn’t alone in being nervous made him a bit more relaxed, and he moved his focus to the elders in front of him. Tom was relieved. He had expected some sort of test, not being told tales, but he definitely preferred the later one. He had always been a curious kid and used to sneak off and explore the ship. He had found rooms with strange machines and objects he didn’t know, that no one ever talked about, and that seemed inappropriate to ask about. He had asked many questions about life and traditions on this ship but was always told that he would know when the time was right. He hoped this was that time. The elders started their stories. 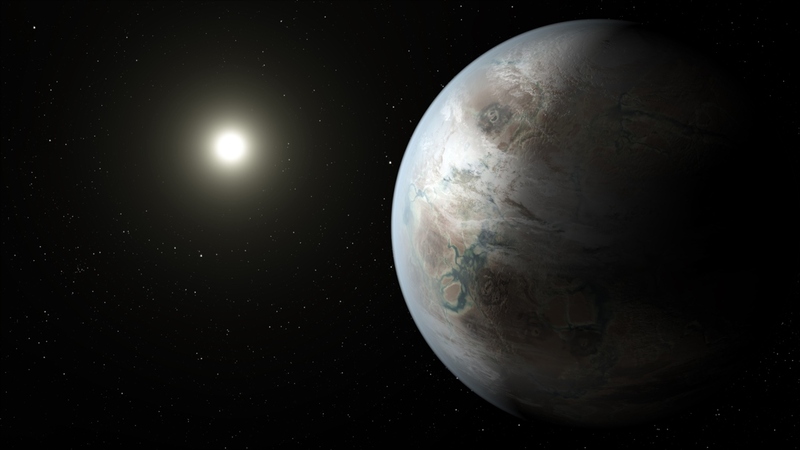 They talked of a planet far away called earth where humans originated. It was a thriving planet filled with water and nature, where humans had everything they needed to live a more than comfortable life. But the humans slowly destroyed their planet, and it was therefore decided to move mankind to other planets. They had searched for earth-looking planets, but they did not have the technology to certainly decide if any of the planets they found had a good enough environment for mankind to survive, and they decided to send people to multiple planets, spread out in their galaxy. They created these generation ships, where humans would live and evolve on their way to their destination, and selected people to travel and sent them on their way. The last contact with planet earth was many generations ago. Tom was in awe. He had heard stories about their origin before, but he had never known whether or not they were true. Hearing the elders describe earth made him long for that planet, even though he had never been there. The thought of having so much space to move around on and meeting strangers was incredible. He had never known of anything bigger than the ship, and he knew everyone aboard. The elders started talking about the ship and Tom’s attention faded a bit. Tom’s family was engineers and he was therefore raised with a lot of knowledge about the ship. He would take over after his father, as his father had taken over after his grandfather. This was the tradition, kids would get the job their parents had. Whenever he had asked about the reason behind this he was told that it made things simpler. The journey they had started many years ago would take many generations to live through, and it was therefore decided that the easiest way to make sure they didn’t suddenly lack some working position, was to let kids inherit the position their ancestors was trained to do, going all the way back to the first generation. The elders went back to the origin of the journey and described the selection of people. How the originals had researched how many people it would take to repopulate, and how they had carefully chosen skilled people with a big variation in DNA, who was willing to sacrifice their freedom for the survival of humanity. How they had trained everyone for their specific task aboard the ship, and how they had developed a set of rules for handling everyday life and conflicts. Tom’s brain was spinning. There were so many contradicting feelings in him. He had always been satisfied with his life, he had never known anything else, but now he realised that he was no one, he wasn’t important. Those who had started the project was important, and those who finished it on another planet was important, but he and everyone in-between was mostly necessary trouble, a waste product, a pig raised for slaughter. It seemed so unfair that someone far away a long time ago had decided his fate and purpose in life, doomed him to a life without purpose. He could have been free to do whatever he wanted, instead of being cramped up on a spaceship. He had never thought of this place as little but compared to the description of earth it seemed rather small. Why had no one done anything about this? Didn’t they all have the right to create their own fate? He felt how angry he was and was just about to stand up and yell at the elders for allowing this purposeless life to continue when he realised that several others already had done just that. The elders didn’t look concerned at all. They remained seated and patiently waited until everyone was done giving their often not so nice opinion on the mission of the spacecraft. Tom couldn’t help but being impressed by their calmness and patience. When everyone was done, the elders took the word again. No one answered. Tom felt completely blank, he couldn’t come up with any way they could change their life, and judging from the looks on everyone else faces, they couldn’t think of anything either. He felt rather stupid, here they were given a chance to change whatever they wanted, and they had nothing to change. Tom had to agree with that. Life wasn’t bad at all, he wouldn’t have thought it unfair if they hadn’t told him of a different kind of life. Tom’s anger had changed to pride. He was saving something worth saving, like his ancestors and everyone around him. They had a common mission, and that connected them with a strong bond. Their individual life might not have much purpose, but together they had a purpose so great that it outshines the individuals. When he was younger he had liked to watch people come out from their inauguration because they always had this special determined and responsible glow that he hadn’t quite been able to figure out where came from, but now it all made sense. They had a purpose, a goal, and now he had the same. It was completely silent in the room. Tom didn’t know what the others were thinking, but some of them had started to have that special glow he recognised so he had an idea what was going on. The elders sat still, carefully looking around before their leader stood up. “Are you ready to pledge your life to the mission and purpose of this spacecraft?” She asked. Tom slowly nodded, and so did his friends. They all stood up and took the pledge. Tom couldn’t help but smile as they all chanted together, and as they walked out to meet the rest of the ship he whispered the last sentence to himself.